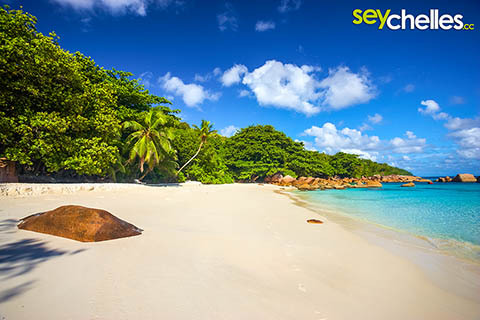 Number 4 of our list ist Anse Lazio. You might be surprised to not find it higher in the list, but the popularity of the beach is so high that more and more people find their way to this beach. Also the swimming area enclosed by buoys may have its right to exist, but it´s not particularely beautiful. Check out our images and description of Anse Lazio on Praslin.